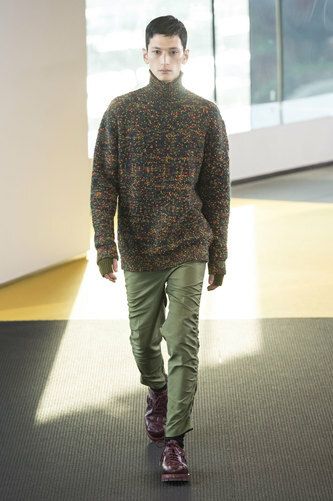 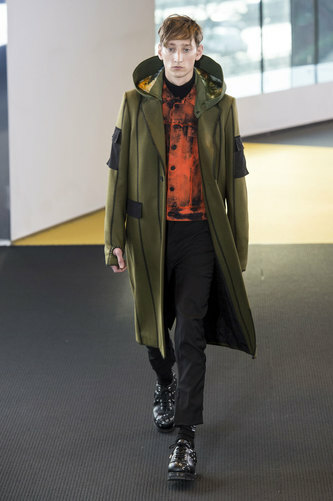 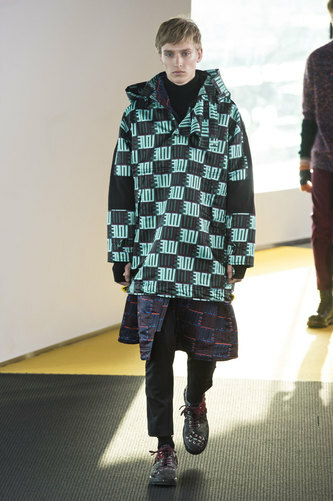 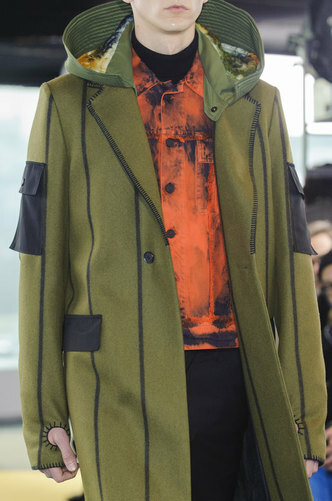 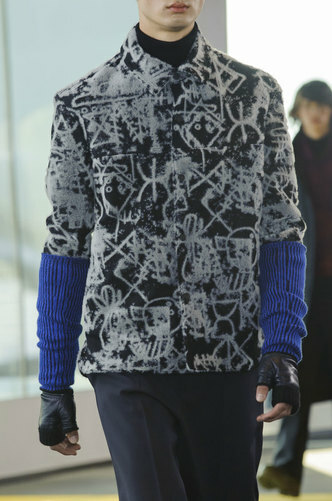 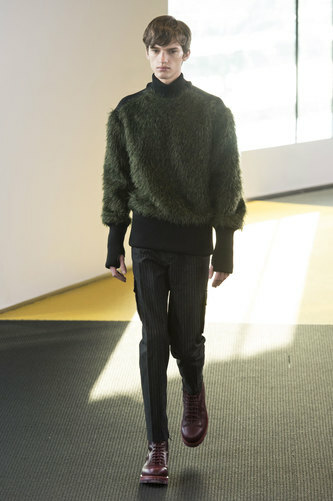 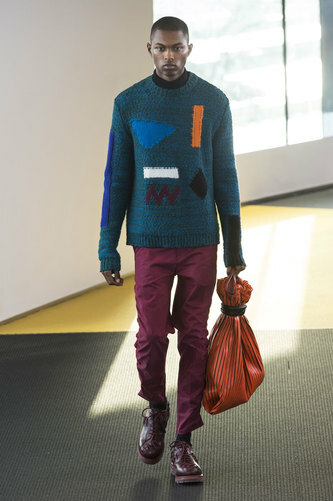 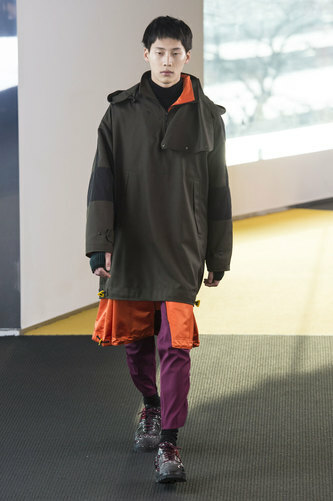 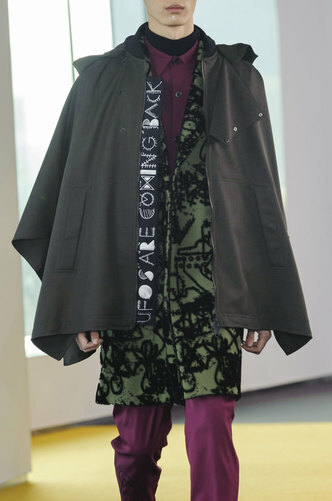 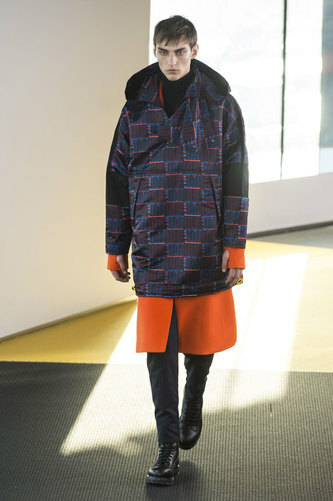 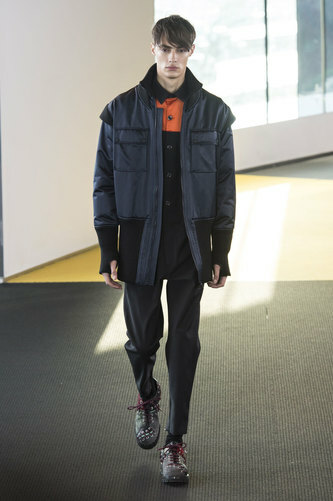 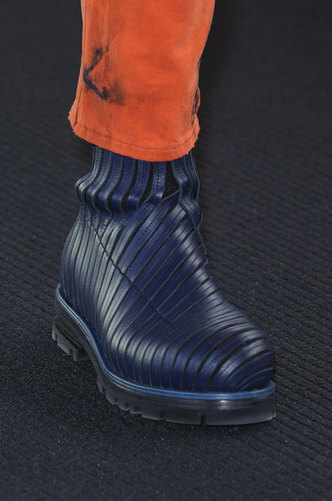 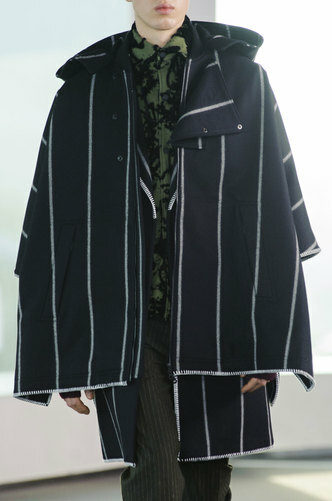 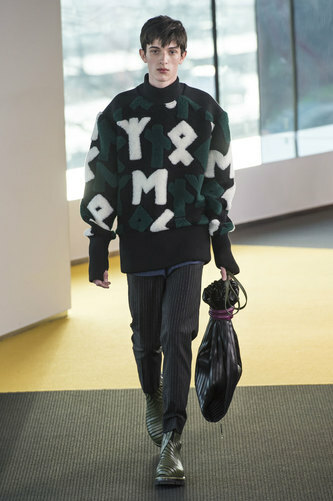 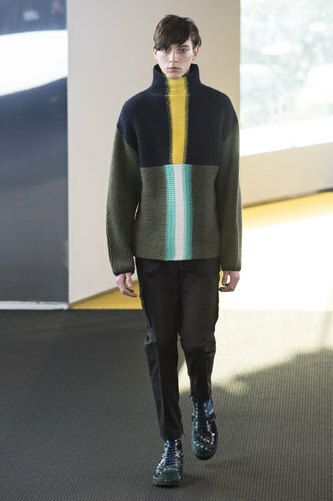 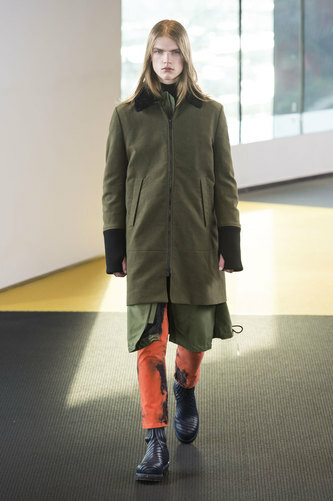 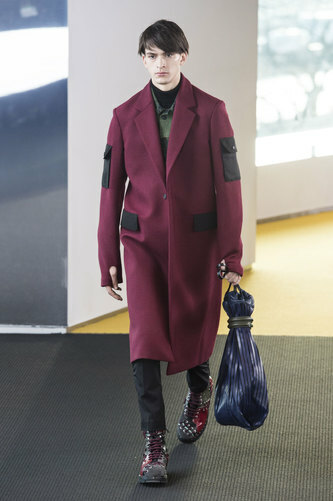 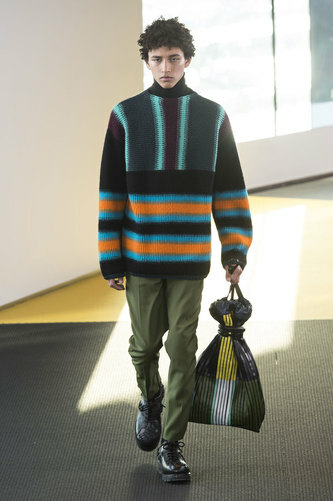 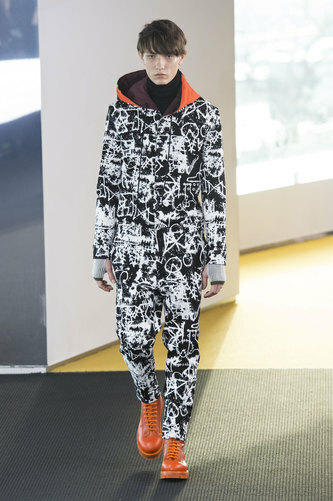 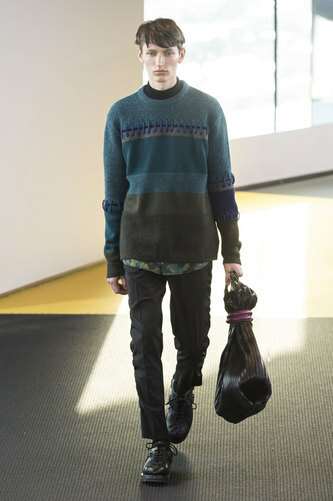 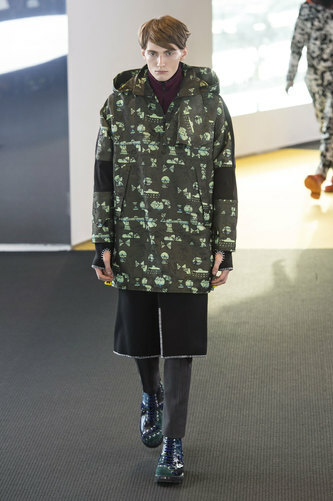 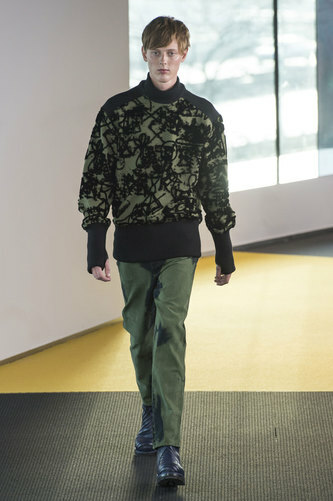 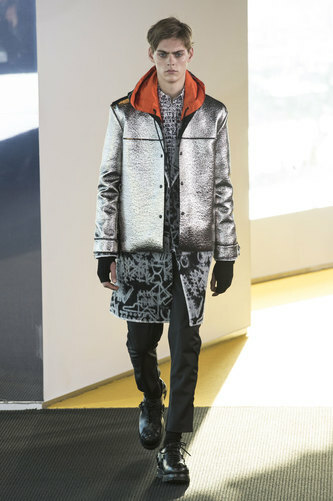 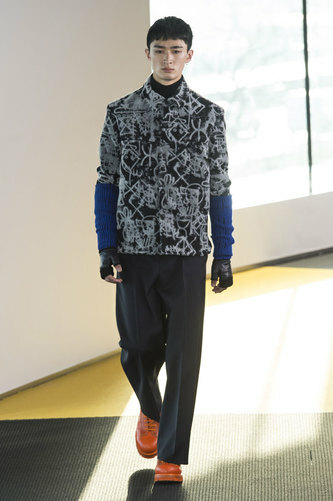 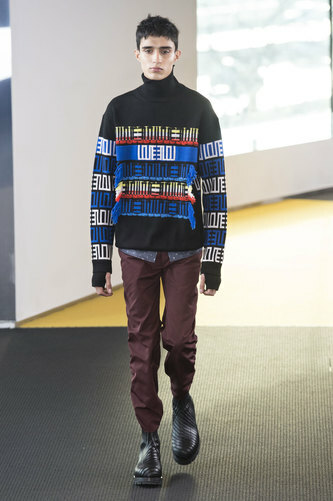 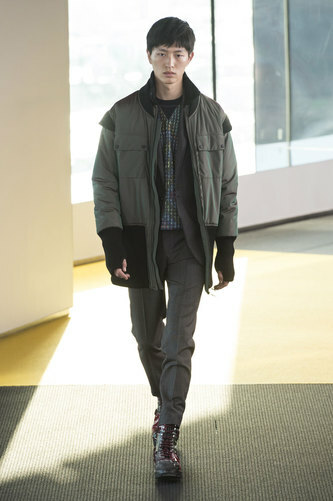 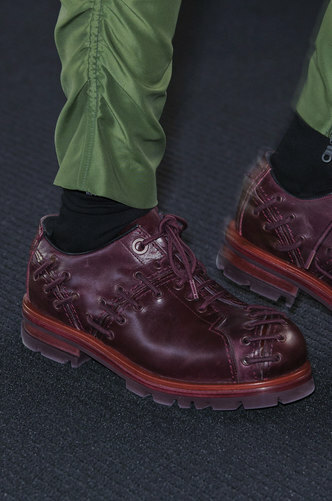 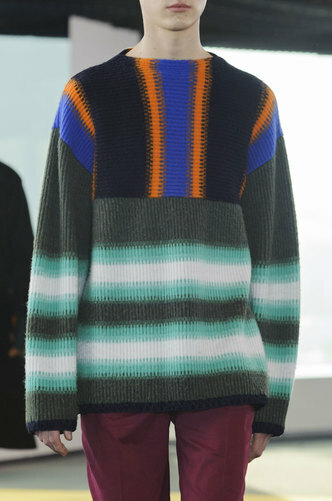 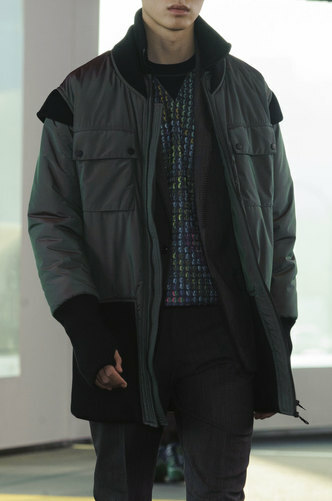 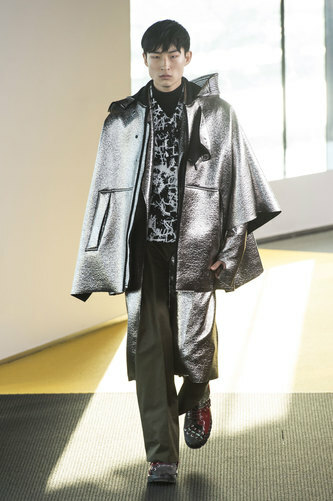 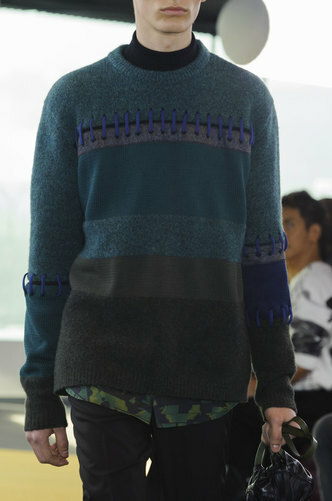 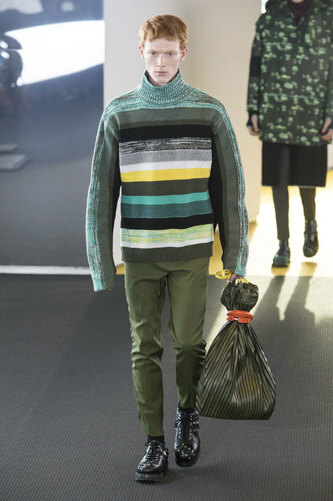 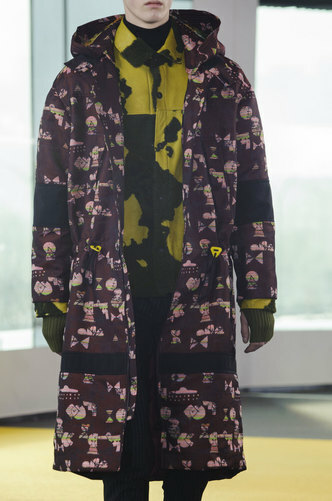 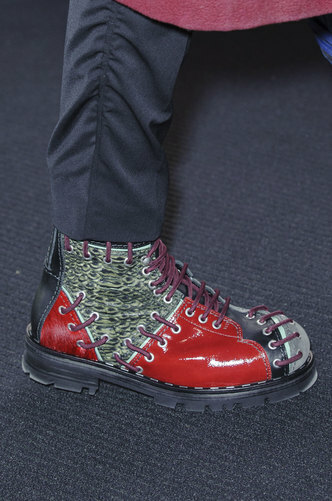 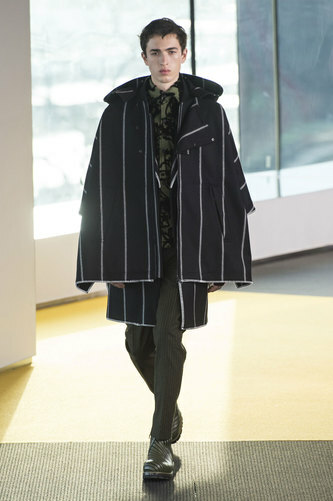 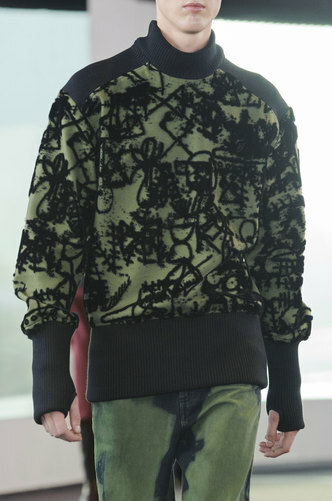 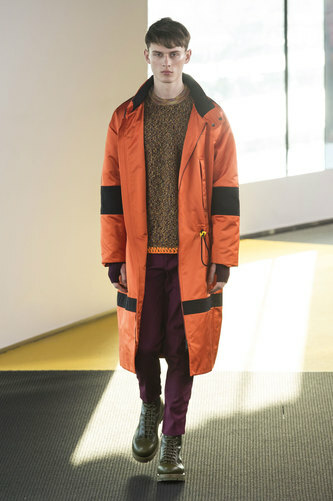 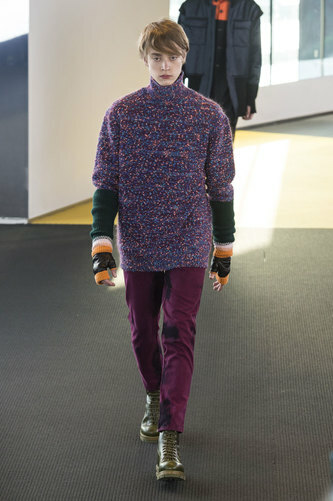 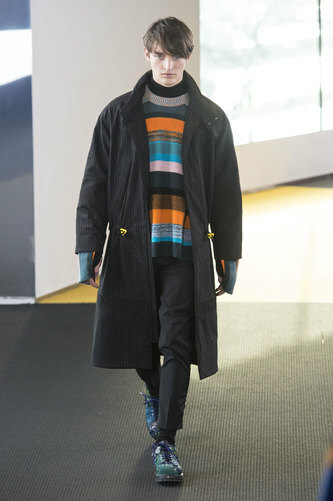 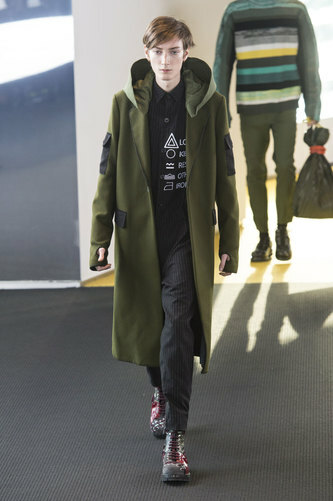 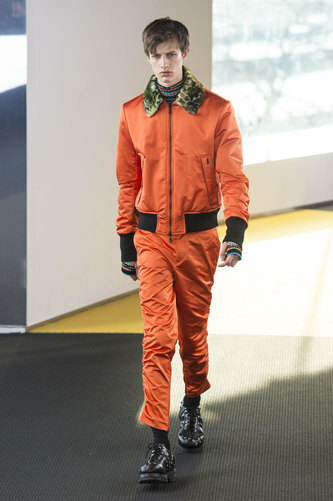 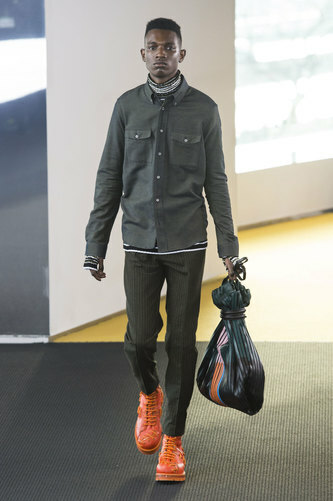 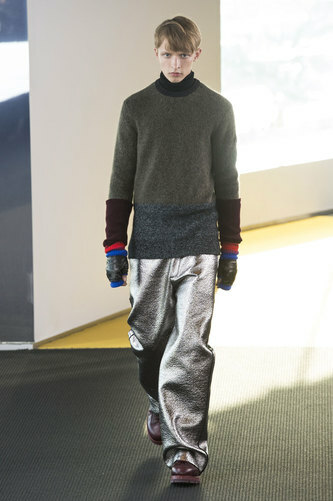 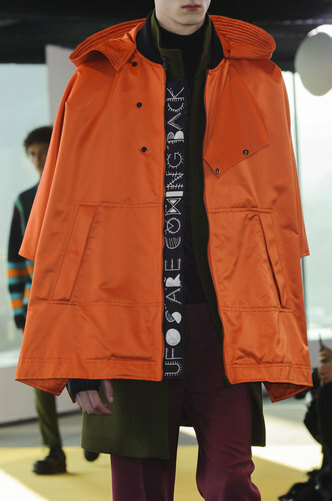 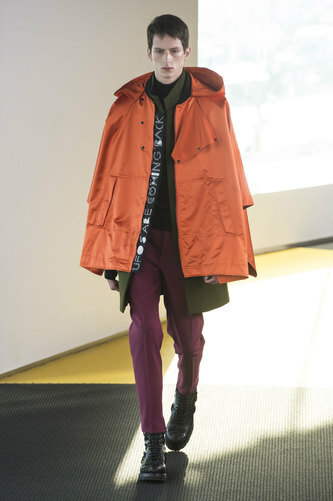 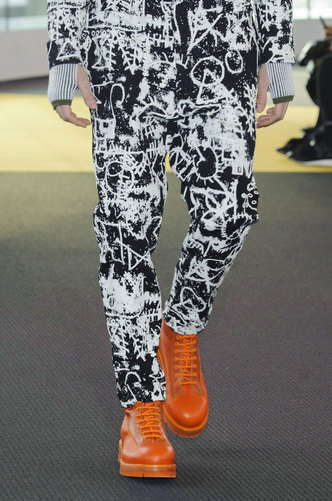 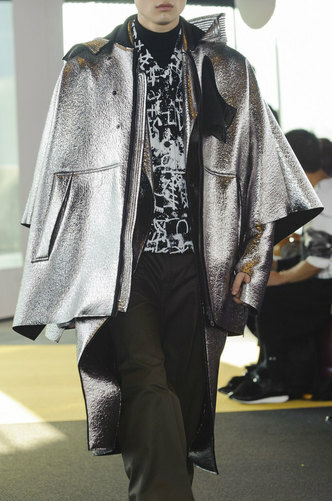 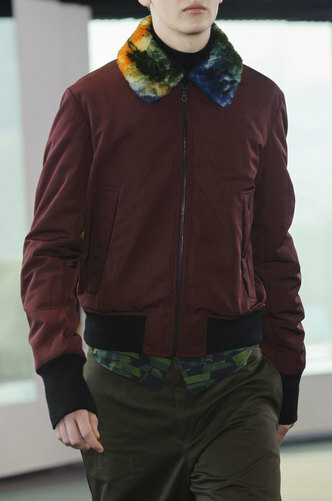 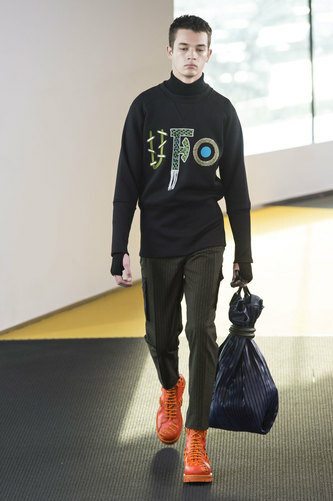 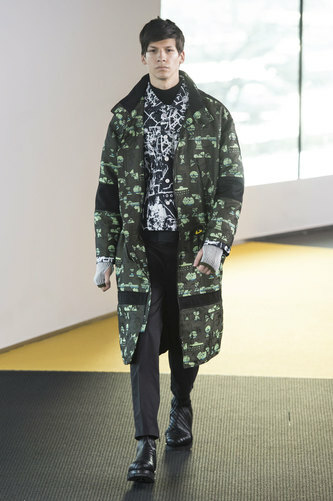 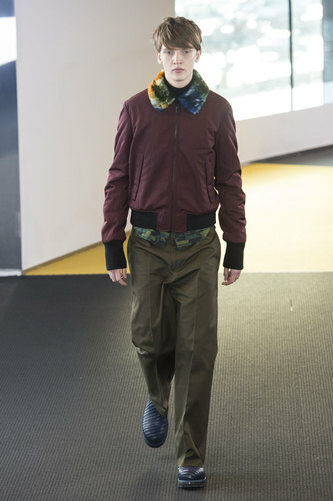 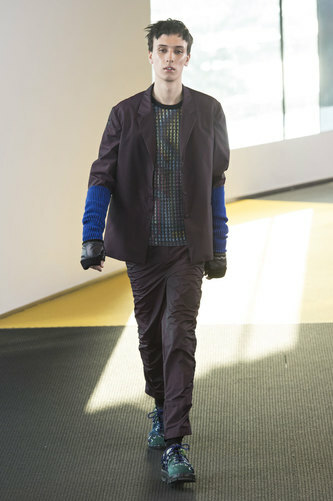 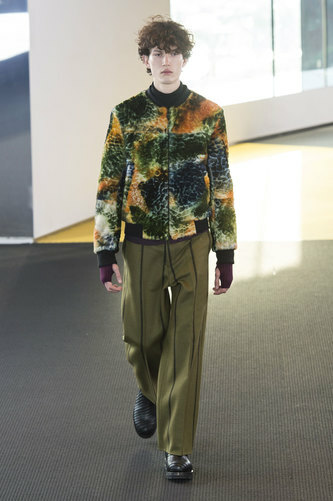 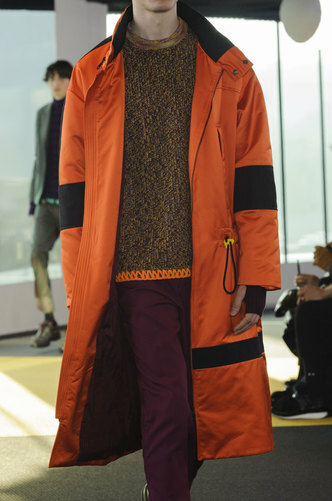 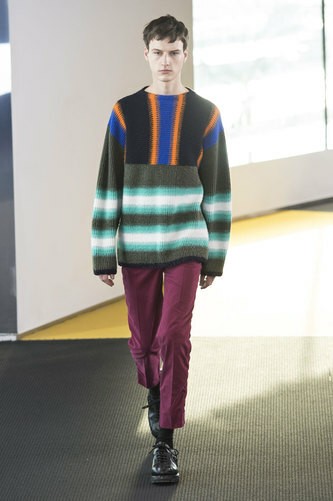 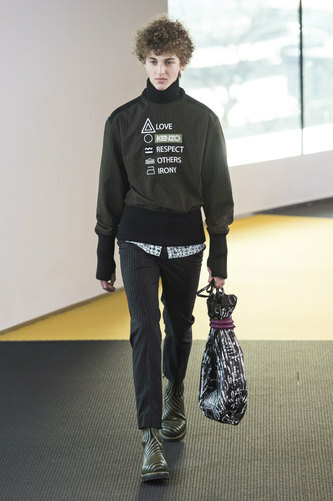 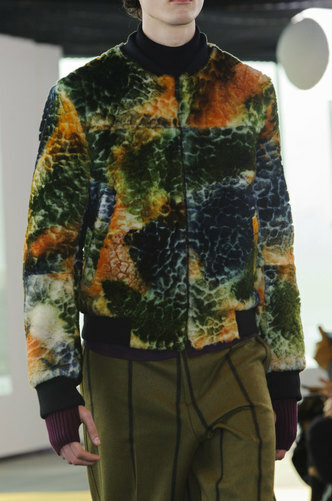 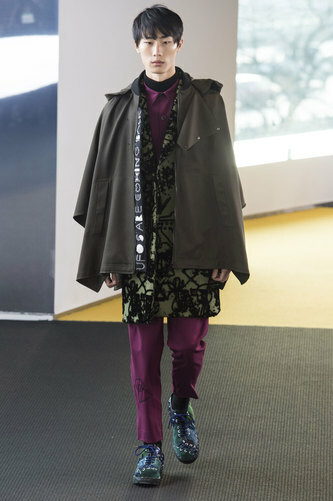 Kenzo Man Autumn-Winter 2015-16 – Kenzo’s line took the lead this morning with a very bold and eccentric appearance. 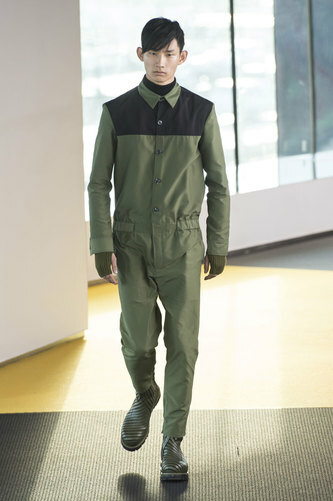 Mixing very bold and out there prints and colours, with themes of sci-fi and the military creates a statement which has to be seen to be believed. 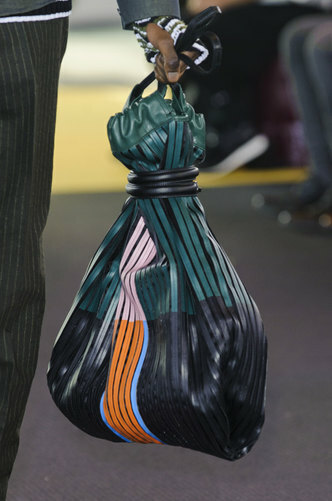 There is much going on in the show but somehow it all works together; this can be for a number of reasons: theme, accessories, colours and textures. 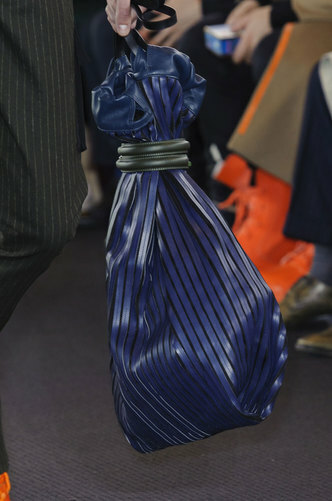 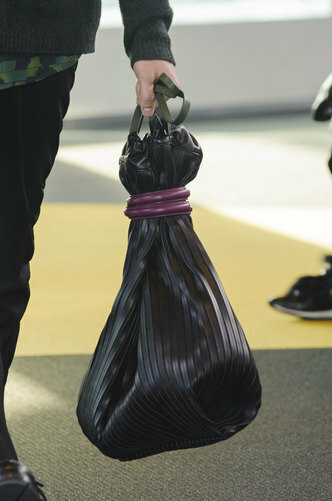 One of the main eye-catching accessory pieces is from a bag; a bag that looks cross between and carrier bag twined together and an old sports bag; proving to be fully functional and almost futuristic. 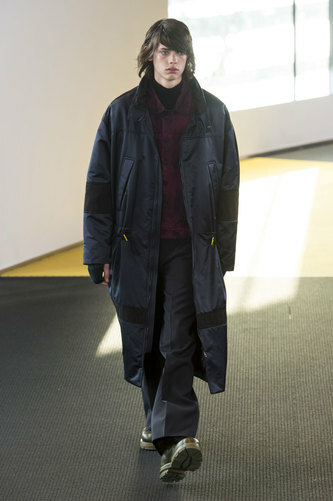 The military influence is expressed through the long line khaki coats, extremely formal and beneficial in all elements of winter weather; also through the grey in trousers, suits and shoes. 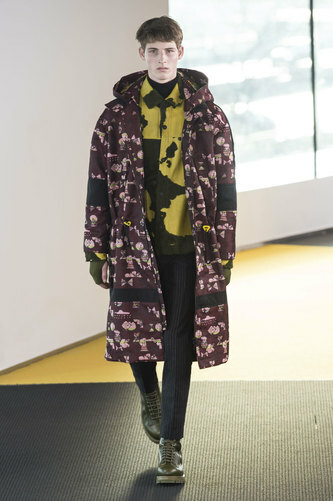 A varied mixture of shapes and sizes in this line means that there is something for everyone to try; a bold print with clashing colours is the main headline. 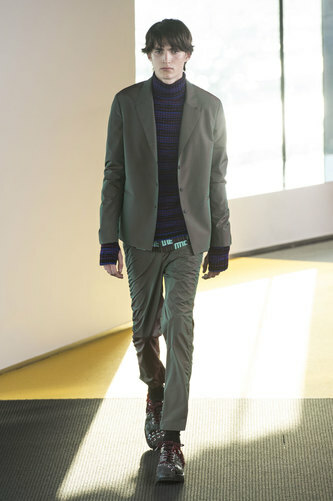 Graduated from University College Falmouth with a Bachelors Degree in Journalism. 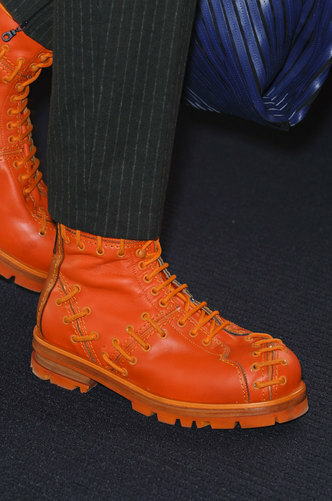 I have a large weakness for fashion and a love for designers as well as a strong passion for writing and blogging. 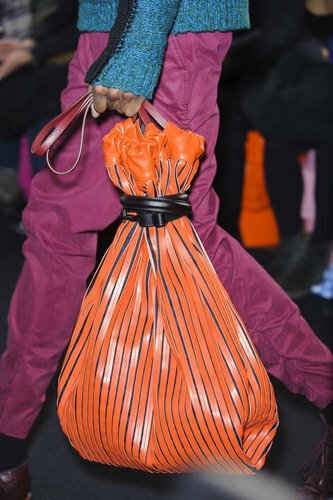 With experience working at London Fashion Week, a fashion blog up and running and previous work published, I am prepared to take the Fashion Journalism world by storm!